The Kanienkehaka resistance at Kanehsatake & Kahnawake had a profound impact on Indigenous peoples in Canada. 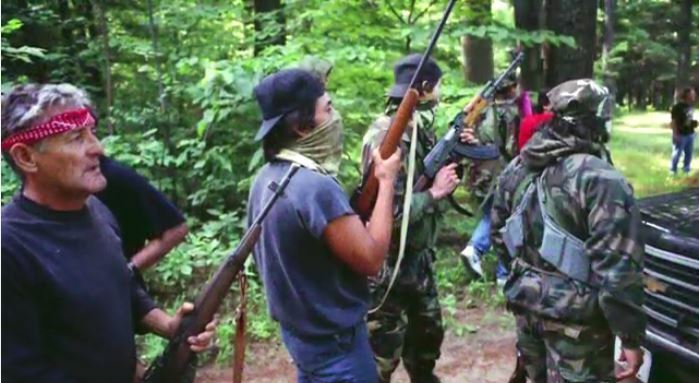 Oka set the tone for Indigenous resistance throughout the ‘90s, and inspired many people & communities to take action. 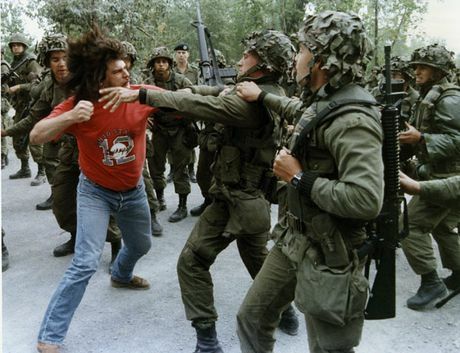 Like Wounded Knee 1973, Oka was an awakening for an entire generation. 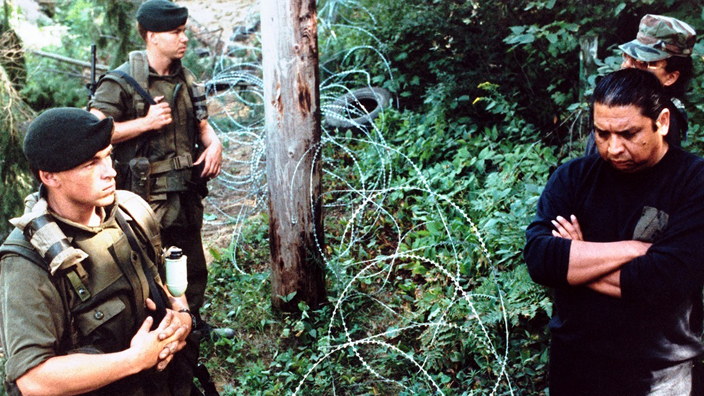 The Oka Crisis of 1990 involved the Mohawk territories of Kanehsatake/Oka & Kahnawake, both located near Montreal, Quebec. The standoff began with an armed police assault on a blockade at Kanehsatake on July 11, 1990, which saw one police officer shot dead in a brief exchange of gunfire. Following this, 2,000 police were mobilized, later replaced by 4,500 soldiers with tanks & APC’s, along with naval & air support. 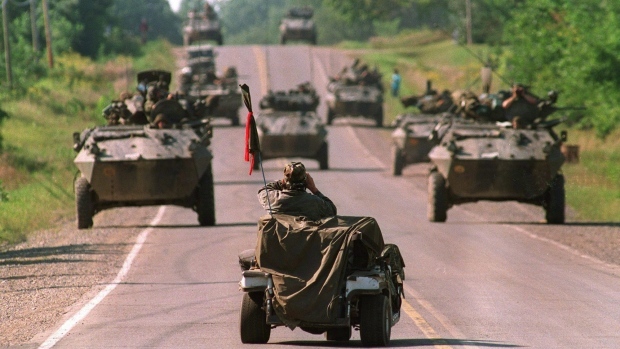 All through the summer of 1990, Oka was the top story in Canadian TV & print media. The armed warriors at both Kanehsatake & Kahnawake inspired widespread support & solidarity from Indigenous people throughout the country. Protests, occupations, blockades, & sabotage actions were carried out, an indication of the great potential for rebellion amongst Indigenous peoples. This manifestation of unity & solidarity served to limit the use of lethal force by the government in ending the standoff. Overall, Oka had a profound effect on Indigenous peoples and was the single most important factor in re-inspiring our warrior spirit. The 77-day standoff also served as an example of Indigenous sovereignty, and the necessity of armed force to defend territory & people against violent aggression by external forces. Mohawks refer to themselves as Kanienkehaka (people of the flint). They are one nation of the Haudenosaunee (people of the longhouse, also the Six Nations Iroquois Confederacy). The other nations in this confederacy are: Oneida, Onondaga, Seneca, Cayuga, and Tuscarora. Combined, the Iroquois have a population of between 75-100,000 in both Canada & the US. The territories discussed are all Mohawk. Kanehsatake is located 53 km west of Montreal, Quebec. Its territory is divided into several sections and next to the town of Oka. The population of Kanehsatake is approx. 1400. Kahnawake, on the other hand, is just 15 km west of Montreal on the shores of the St. Lawrence river, and has a pop. of 7000. Akwesasne is located 75 km west of Montreal, near Cornwall, Ontario, and along the St. Lawrence river. It is divided between Ontario, Quebec, & New York. It has a population of 12,000. For centuries, the Haudenosaunee have resisted European colonization. They were (and are) a large & powerful force in the eastern woodlands region of N. America. During the 1600s & 1700s, they sided with the British against first the French, and then the Americans. When the Indian Act band council system was imposed, many Haudenosaunee communities rejected it. By the 1920s, RCMP invaded the last holdouts at Six Nations & Akwesasne to force compliance. In the 1960s, Mohawks became involved in protests & occupations. In 1968, Mohawk protesters blocked traffic on the Seaway International Bridge at Akwesasne to demand recognition of the Jay Treaty. A Mohawk—Richard Oaks—was a prominent spokesperson during the occupation of Alcatraz Island near San Francisco, in 1969. In Kahnawake, a singing society was formed to learn traditional songs. This would form the basis for the Warrior Society. In 1970, Mohawks from Kahnawake re-occupied 2 islands in the St. Lawrence river. The next year, Kahnawake Mohawks assisted Onondagas in stopping a construction project in New York. In 1973, warriors evicted all non-native residents from Kahnawake. This led to a large invasion by SQ, and a week long standoff. The warriors get greater support from the traditionalist Longhouse, and decide to expand their horizons. In 1974, Kahnawake Mohawks and others re-occupy Ganienkeh, in New York state. It is an abandoned summer camp on land claimed by New York. After confrontations with local Americans & state police, negotiations lead to a settlement. The land is exchanged for another parcel, closer to the Canadian border & the communities of Akwesasne & Kahnawake (in 1977). Louis Karoniakatajeh Hall is a main spokesperson for Ganienkeh, and creates the Unity flag, also referred to as the Mohawk Warrior flag. In 1978, the Kahnawake Survival School was established, with Mohawks teaching Mohawk language, culture, & history. 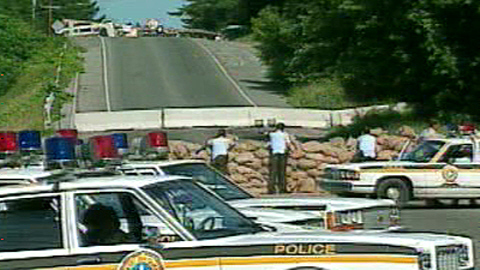 In 1979, there is a brief standoff between warriors & state police at Akwesasne (Raquette Point). That same year, Donald Cross is shot by police in Kahnawake. Warrior flag designed by Louis Karoniaktajeh Hall, a Mohawk writer and artist. The feather represents the unity of all Indigenous peoples. 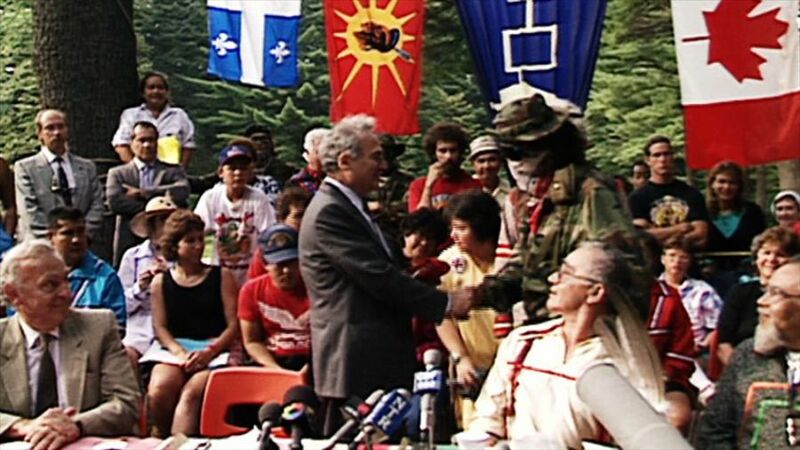 In 1981, SQ violence against Mi’kmaqs at Restigouche further alarms Kahnawake Mohawks. Various factions cooperate in drafting a confidential defense plan for the territory. Throughout the 1980s, there is increased factional fighting over gambling & casinos at Akwesasne, which have become multi-million dollar operations. In the late ‘80s, police begin raiding casinos in Akwesasne, confiscating slot machines & seizing business records. They claimed the casinos were evading taxes & were illegal. Some Mohawks began to oppose the casinos, accusing them of corruption & anti-social effects. In Dec 1987, over 200 police carried out raids on six casinos in Akwesasne, taking slot machines. At Kahnawake, another form of ‘shady’ business has evolved: cheap cigarettes, allegedly the result of smuggling. By the late ‘80s, dozens of small shacks lined the roads. On June 1, 1988, over 200 RCMP, with heavily-armed Emergency Response Teams, riot cops, etc., invade Kahnawake and raid the tobacco shops. In response, warriors seized the Mercier Bridge & blocked highways. In July 1989, over 400 FBI & state police invade Akwesasne and are at first stopped by warrior blockades. The police re-position themselves, and are able to raid several casinos. At this time, the warriors were carrying out regular patrols to detect & deter police from invading their territory. Some anti-gambling factions were also pro-police. On March 30, 1990, a Vermont National Guard helicopter is allegedly shot at while flying over Ganienkeh and is forced to land nearby. FBI & NY state police threaten to enter the territory and there is a standoff for several days. At the same time, disputes between pro-gambling & anti-gambling factions escalated at Akwesasne. Assaults, fire-bombings and shootings began to occur. 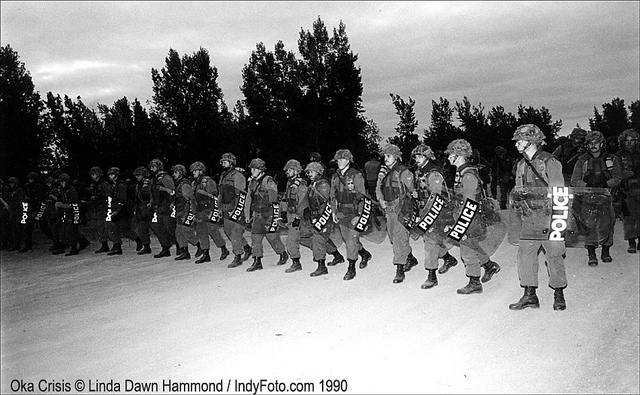 On May 1/90, two Mohawks were shot dead, and hundreds of police moved in to occupy the territory. In Kahnawake, there’s not the same problems and a bit more unity; some profits from the cigarette trade are used to fund the Longhouse & Warrior Society. The warriors are also employed to act as security. Despite the conflict at Akwesasne (or maybe because of it), warriors from Akwesasne continued to assist Mohawks at Kanehsatake throughout the spring of 1990. “To my right, a pair of dark figures slip silently towards the noise. They pad quickly & easily through the night, like cats on a prowl. Their rifles ready, they hop over a log & disappear into the woods. “I look over my shoulder & see 4 or 5 people in the bunker. They’re hunched over their rifles. One person gazes through “night-vision” binoculars, scanning the forest for movement. “I can’t see a damn thing out there,” he whispers to one in particular. “Time telescopes. Seconds feel like minutes & minutes drag on. The silence is broken only by the persistent crackle of a hand radio; someone, somewhere, wants to know what’s going on. The alert is spreading to other bunkers along a mile-long stretch of dark forest overlooking the police lines. “Suddenly, there’s another, louder, voice on the radio. “It’s them,” someone in the bunker says in a normal tone. “It’s okay. They’re coming back.” Shoulders ease back from the rifles. The jokes & good-natured chatter begin again. “I’m surprised that everybody takes the alarm in stride. They’re getting used to the routine after only a couple of days. No one, I notice, makes a fuss as 5 camouflaged figures file back from the woods with their AK’s cradled in their arms. They’re just kids, I think to myself. “My memories of that summer at Kanehsatake are so different from the stories told by the media. Their attention was focused on the barricades. To most of them, this was just a cop story; the police & soldiers were there to “restore law & order,” to put things back the way they were. But most of the people behind the barricades were my family, friends, & relatives. And they didn’t want things to go back to the way they were. They knew that would mean a certain steady ride down a one-way street to an oblivion called assimilation” (People of the Pines, pp. 9-12). 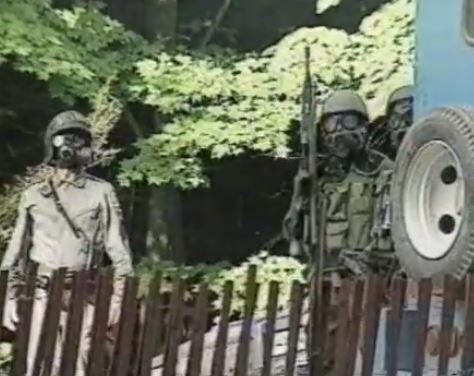 Members of the SQ tactical unit moments before they attempted to overtake the Mohawk blockade, July 11, 1990. What triggered the 1990 Oka Crisis? To the great dismay of many, it was the proposed expansion of a golf course & new luxury homes by the Oka Golf Club and town municipality. This proposal was first announced in March, 1989. Mohawks in Kanehsatake were immediately alarmed. The area designated for ‘development’ contained some of the last remaining forest (the Pines), a community lacrosse field, and a Mohawk graveyard. 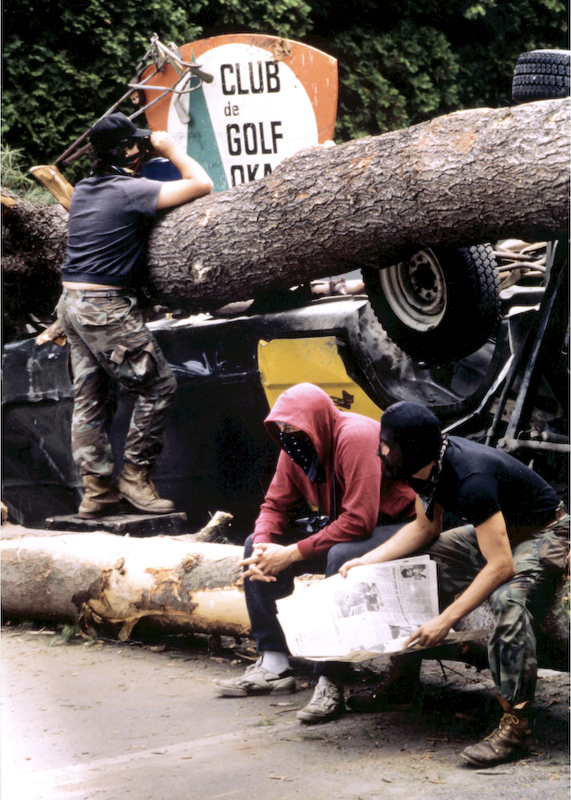 Many non-Native residents of Oka were also opposed to the expansion as it was a members-only golf club, as well as for environmental reasons. Cutting down trees leads to soil erosion, a big problem for Oka in the 19th century. In April, 1989, some 300 Mohawks protested against the expansion in Kanehsatake. On August 1, 1989, during a symbolic tree cutting to kick off the ground work, some 75-100 Mohawks showed up to protest. The launch was cancelled, and officials from the Quebec Native Affairs & federal Indian Affairs became involved in negotiations. Throughout the winter & spring of 1990, protests & negotiations resulted in further delays of the expansion. On March 10, 1990, an old shack was moved into the Pines & a protest camp established. Through the cold & snow, Mohawks took shifts in the Pines. A small woodstove was brought in. A warrior flag was put up, but removed after 2 days due to internal divisions (some wanted the camp ‘non-confrontational’ and ‘non-political’). At this time, two-way radios and a police scanner were also obtained. Rumours that the camp was a warrior society outpost began to spread. As protection against harassment from white vigilantes (and other Mohawks), firearms were brought in. These were hunting rifles, kept out of sight but ready for defensive action. More people start hanging out at the camp. Donations of food and other community support began to increase. By late March, incidents of harassment lead to heated debates about weapons. Meanwhile, calls for assistance were sent out to every faction in the Iroquois Confederacy (Haudenosaunee). In the end, only the warriors would answer the call. At Ganienkeh, there is a confrontation with state police after a National Guard helicopter is allegedly shot at flying over the territory. After the shack is vandalized on April 22, 1990, road-blocks are erected across a dirt road running through the Pines. This consists of a large cement block at the south entrance to the Pines, and a large log in the north. The town of Oka seeks a court injunction ordering the removal of the roadblocks. This is granted on April 26, 1990. The Mohawks ignore it. On May 1, 1990, the day that contractors are scheduled to remove the roadblocks, Kahnawake warriors arrive and join the protesters. 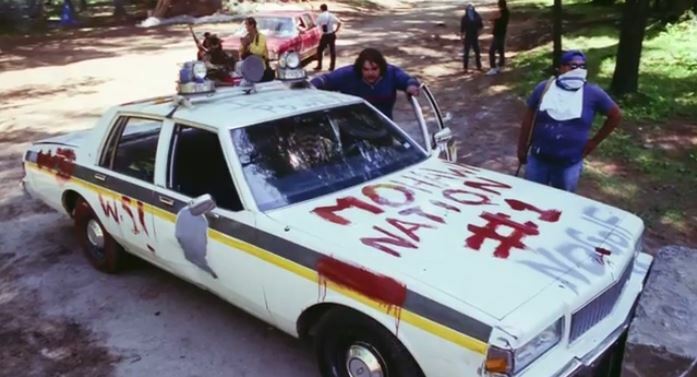 “The license plates of the warriors vehicles were covered by rags and they wore masks over their faces as they zipped in and out of the Pines… The strategy of the Mohawk protesters was to intimidate the police & to maintain an aura of mystery about what was actually going on behind the barricades. They were also trying to sustain the media’s curiosity and engender publicity about their occupation” (People of the Pines, p. 62). At about 1 PM that day, a Surete du Quebec (SQ- Quebec provincial police) helicopter arrives & hovers over the camp. Several SQ cars patrol the area. In the Pines are dozens of Mohawks. With the threat of confrontation, the town council postpones the dismantling of the blockades and resumes negotiations. That same day (May 1), two people die in factional fighting over casinos at Akwesasne. A large police occupation of the territory occurs. On May 2, as negotiations continue in Kanehsatake, warriors in camouflage fatigues move in and out of the pines in trucks, some with weapons. An SQ helicopter flies overhead, monitoring their movement. In early may, Akwesasne war chief Francis Boots and other warriors bring in truckloads of food, tents, sleeping bags, and other equipment. “… remained in the Pines, and they were grateful for the advice and support the experienced warriors were offering. They realized they could not rely on the men of Kanehsatake to guard the Pines. Despite their rhetoric about defending the Pines to the death, most of the local Mohawks had never experienced a confrontation with the police, and they were unprepared to pick up a weapon” (People of the Pines, p. 65). Twice more, in May & early June, the town council attempted to renew the injunction first granted in April. The judge, however, sees no urgent need to clear the road and tells the two sides to negotiate. At this point, the two sides are no longer meeting; federal negotiators act as a go-between. In late May, a small log cabin is built in the Pines. Meanwhile, Oka town council meetings are packed by angry citizens demanding intervention by the SQ. “Most of the warriors had drifted home to Akwesasne & Kahnawake, & even the Kanehsatake Mohawks found their commitment waning. Often there was no one in the pines at all. It looked as if the protest might die out on its own” (People of the Pines, p. 70-71). Few people outside these 3 Mohawk territories even knew about the protest camp. In late May & early June, a delegation of Kahnawake warriors traveled to Haudenosaunee territories in Ontario & New York requesting support. In Kahnawake, money is collected to buy more two-way radios, and raffles are held for food & other supplies. On June 29, 1990, another injunction is sought to remove the roadblocks. This time it is granted. At the camp, women’s meetings are held daily and they decide on a strategy in which they are in the forefront, while the warriors stay back unless weapons are needed. On July 5, the Quebec government issues an ultimatum: the Mohawks must remove the road-blocks or action will be taken. SQ patrols are stepped up. Mohawk warriors arrive daily from Kahnawake and Akwesasne. At this time, defensive positions are improved. The roadblock at the north entrance is reinforced by a row of concrete blocks. Bunkers are reinforced & trenches dug, connecting forward positions to ones in the rear. On July 8 & 9, John Ciaccia, Quebec Native Affairs minister, telephones Oka mayor Jean Ouellette and asks that he not send in the SQ. On the night of July 10, 1990, the Mohawks receive a tip from an SQ dispatcher that police are preparing for a raid. Throughout the night, defensive positions are strengthened. Bunker locations are shifted and booby traps set up (punji sticks, pipe bombs, fish hooks on branches at knee & ankle level, along with fish lines with tin cans & pebbles inside). Surete du Quebec (SQ) establish blockade down hill from Mohawk warrior blockade, June 11, 1990. At day-break, Denise David-Tolley awoke from a troubled sleep. She had a dream about a violent attack and someone’s death. At 5:15 AM, the sound of vehicles alerts the camp: two large rental trucks followed by a convoy of police cruisers & vans arrive at the south entrance roadblock (near Hwy. 344). Heavily-armed SQ officers jump out of the vehicles and take up positions along the shoulder of the highway, while others climb up trees and into ditches, or crouch behind vehicles. Two-way radios alert warriors in the Pines, while a cell phone is used to contact warriors at Kahnawake. 600 metres away, at the north entrance, a van and four cruisers arrive. More heavily-armed SQ take up positions. Altogether, there are about 100 SQ officers from the tactical intervention unit. On Highway 344, there are also several dozen riot police. An SQ commander demands to speak to representatives from the camp. The SQ make it clear there will be no negotiations. The Mohawks are given 5 minutes to decide on a course of action. The Mohawks get this extended to 45-minutes for a tobacco-burning ceremony. A front end loader is used to carry an SQ patrol car to make a barricade on Hwy 344. Both vehicles, along with 5 other cars, were abandoned by the SQ after the failed raid on July 11, 1990. While the tobacco ceremony continues, & without warning, the SQ begin firing tear gas canisters at mostly Mohawk women & children. A sudden wind arises and blows the smoke back into the SQ lines (who now had gas masks on). At Kahnawake, the alert spreads. A dozen warriors meet near the Mercier Bridge, a vital commuter link into Montreal. “They stood around nervously, perhaps a little frightened and uncertain how to proceed” (People of the Pines, p. 31). The Mercier Bridge, a vital commuter link to Montreal that was blockaded by warriors from Kahnawake in solidarity with Kanesatake Mohawks beginning on July 11, 1990. Mark ‘Blackjack’ Montour then swung his car onto the highway, blocking one lane of traffic. By this time it’s rush hour with thousands of cars crossing the bridge. Some drive into the ditch to avoid Blackjack’s vehicle. Then a second warrior’s vehicle is placed on the highway, forming a’V’. Still, cars continue driving around the roadblock. Finally, Blackjack and another warrior pull out assault rifles, bringing traffic to a complete stop. They begin forcing vehicles to back up. While it took 15 minutes to stop traffic, it would take another two hours to force traffic back to the outskirts of Chatteauguay (thereby creating an unoccupied zone for Mohawk positions). During this same time, other highways & intersections in and around Kahnawake are also blocked by groups of warriors. By 7 AM the Mercier Bridge has been captured and this information is relayed to those in the Pines. By 7:30 AM a front-end loader is brought up by police in preparation to dismantle the barricades in the Pines. Police continue to sporadically fire tear gas & concussion grenades. More police arrive, as well as Mohawk reinforcements, who infiltrate into the Pines. At 8:30 AM the front-end loader moves toward the Mohawk barricade and begins dismantling it. The Mohawks are in retreat and SQ officers begin leaping over the barricade and enter Pines. Shots are fired and a short but intense fire-fight breaks out between warriors & police (est. time: 30 seconds). 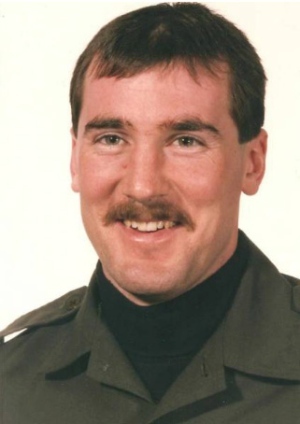 Corporal Marcel Lemay, shot and killed during the July 11, 1990 raid by Quebec provincial police. One SQ officer is shot & killed: Cpl. Marcel Lemay, a 31-year old. The bullet entered through his left armpit, unprotected by his bullet-proof vest. He is killed by a steel-tipped ‘full metal-jacket’ .223 calibre bullet (the killing weapon is never found & it is unclear who fired the fatal shot—Mohawk or SQ friendly-fire?). The police immediately retreat, jumping into their vehicles. They abandon six vans & cruisers, including the front-end loader. These vehicles are checked for weapons, then the loader is used to crush them and place them as barricades, beginning with Main Gate on Hwy. 344, overlooking the town of Oka to the east.. In Kahnawake, after 3 hours, all roads & highways passing through the territory are closed, barricades are established, and all stray vehicles are chased out. This plan was first executed in 1988 after a large RCMP raid on discount cigarette vendors in Kahnawake. At that time, the Mercier Bridge was also seized. Along with barricaded positions on the bridge, warriors also climb up and down it, attaching fake explosive charges. Later, behind screens, they would also pretend to cut bolts on sections of the bridge with welding torches. When the SQ first arrived at 5:15 AM in the Pines, there were an estimated 30 warriors present. By the time of the fire-fight (8:40 AM), there were an est. 60-70 armed warriors. Their weapons included numerous assault rifles, including five AR-15s, a full-auto CAR-15, an RPK (Soviet light-machine gun), three M-1 carbines, five SKS (Soviet rifle), and a sniper version of the M-14. At least 20 warriors were armed with hunting rifles (.303 & .22), shotguns, and several pistols (9mm, .45 cal., and a .357 magnum). In addition, warriors are said to have had several thousand rounds of ammunition. Following the SQ retreat, barricades were strengthened and warriors conducted sweeps through the Pines, looking for snipers or police surveillance. Some of the weapons used by warriors on July 11, 1990, including hunting rifles and AK47s. “Working with the front-end loader, the Mohawks dug trenches & foxholes throughout the encampment… near the roads and paths, they took down trees and dragged them into positions that would block an advancing column… “It didn’t make sense for them to wait,” adds [Francis] Boots. “We thought they would understand that the longer they took, the stronger we would become” (One Nation Under the Gun, p. 207). “A number of senior SQ officers had recognized the dangers of the operation in the Pines and had recommended sending in a specialized team of criminal negotiators. But they lost the internal debate on tactics. One officer later said the police commanders had expected a relatively easy operation, counting on the psychological effect of the surprise early-morning raid to flush out the Mohawks. When that failed to work, they resorted to other tactics—tear gas & concussion grenades—in an attempt to frighten the Mohawks into giving up the occupied territory” (People of the Pines, p. 28). 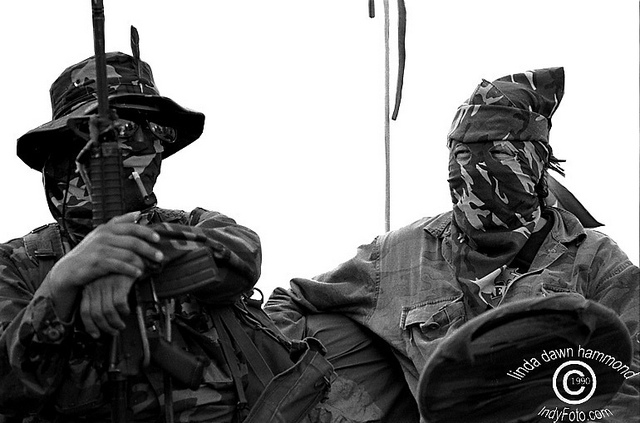 “It was an armed insurrection… We didn’t know what was next. Our police had been defeated & all we heard about was roaming Mohawks with guns. We though this could be our version of hell—the city shut down, the police in retreat & the Mohawks standing on top of police cars with their AK-47s held high above their heads” (a top-level aide to premier Bourassa, quoted in One Nation Under the Gun, p. 205). During the night of July 11, more warriors infiltrated into the Pines. Meanwhile, SQ checkpoints had sealed off the area. Most warriors spent the night on patrol or positioned at bunkers & barricades (labeled Main Gate, Sector 5, China Beach, & North Pole). At North Pole, surrounded by cornfields and open pasture, far away from other positions, warriors had trouble finding volunteers for sentry duty. In Kanehsatake, convenience stores were quickly depleted, while SQ checkpoints stopped food & medical supplies from entering. Mohawks were stopped, their vehicles checked, and even strip-searches conducted. During and after the siege, police harassment of Mohawks continued. One of the abandoned SQ vehicles, July 11, 1990. Meanwhile, Quebec public security minister Sam Elkas had already requested military assistance on July 12. Soldiers from the Royal 22e Regiment were secretly dispatched to Oka & Kahnawake. C-7 assault rifles, night-vision devices, and bullet-proof vests were assembled for police, and Grizzly armoured personnel carriers sent to Montreal from Canadian Forces Base (CFB) Valcartier. At Kanehsatake, media access was immediately restricted & yet difficult to control. On July 11, some reporters had film destroyed by the SQ. Delegates from human rights organizations were also stopped from entering Kanehsatake. Some media began sneaking past police lines to get to Mohawk positions. Both the media and human rights observers would be harassed & detained by the SQ & military throughout the summer, as well as the target of white mobs. On July 17 a Red Cross convoy brought in food, and the gym at Kanehsatake was made into an emergency food bank. By the second week of the siege, there was a chronic food shortage. In Montreal, the Quebec Native Women’s Association set up a food depot and were swamped with donations. Churches & other social movements also collected food & supplies. The problem was getting it into the communities. Although every highway & road into Kanehsatake was blocked by the SQ, Mohawks soon realized that they didn’t go far off the road, and never entered the forest. Food and supplies were then brought in by runners across fields and through woods (along with the occasional shipment allowed through SQ/military lines). Warrior volunteers from Kahnawake also continued to infiltrate into the Pines. Boats were often used to smuggle warriors in & out, as well as guns, ammo, and camouflage gear. Police boats at times opened fire as they attempted to intercept these shipments. 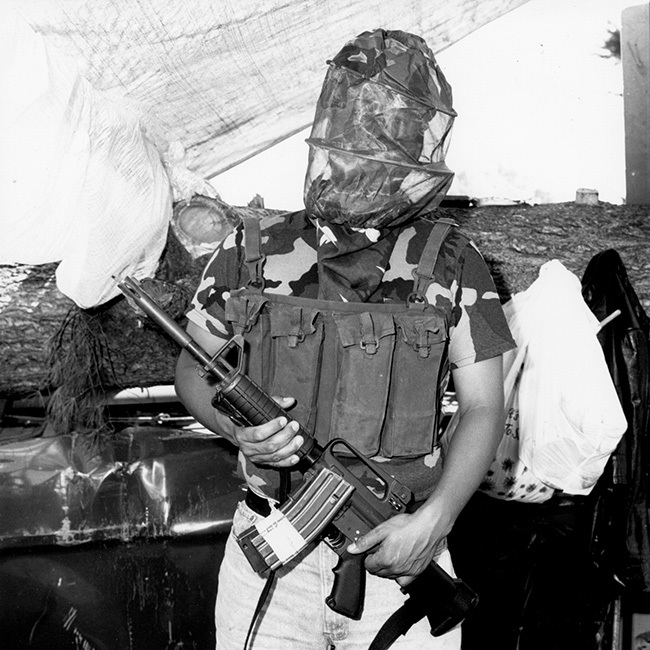 Tom Paul, Mi’kmaq warrior code-named “General” with an AK-47. “The lack of military experience in Kanehsatake was evident in the fact that no one was actually in charge of the territory’s defense. The organization of shifts was completely arbitrary. Hunched down in a bunker at Sector 5 at the north entrance to the Pines, Stonecarver waited for three days for someone to show up to replace him during the first week of the siege. Some of the “homeboys,” mostly young Mohawks in their twenties who had not joined the fight until the morning of the raid, took over a bunker on the eastern fringe of the Pines, looking out over the golf course, which became known as China Beach. “The older warriors worried that some of the young gun-slinging Mohawks would discredit the warrior movement. Within a couple of weeks of the siege, however, many of the young Kanehsatake men on the barricades had drifted off, some of them angry or fed up with the stalled negotiations, a few of them more attracted to the idea of living in a police-free zone than in putting in long hours of duty in the Pines” (People of the Pines, p. 212). With the absence of police, anti-social criminal activity increased. SQ allowed alcohol in, and soon there were problems with drunken youth and break-and-enters into homes. Some warriors, including Lasagna (Ronald Cross) and others, were also involved in all-night drinking parties and vandalism of residences. In response, Kanehsatake Mohawks not in the Pines, but who were determined to stay, organized security patrols. On July 15, an ambulance drives into Kanehsatake and is stopped by warriors, who search it and check the identification of the driver & four attendants. They telephone the employer and then release the vehicle. Once it’s out of view of the media, however, warriors stop it again and demand to see their police id. A pistol is held to the head of one attendant, who confesses that he and two others are in fact police. The ambulance is ordered to leave. On July 15, nine Mi’kmaqs arrived at Kahnawake. The next day, four of them infiltrated into Kanehsatake, inc. 48-year old Tom Paul (General). They set up a sweat-lodge and greatly raised the morale of the warriors. As well, spiritual leaders began to arrive. Soon, the Onen:to’ken Treatment Centre, across the highway from the Pines, was set up as a negotiating center. The Mohawks had a list of demands, including title to the disputed land, withdrawal of police from all Mohawk territories (inc. Kahnawake, Ganienkah, & Akwesasne), a 48-hour period of free movement in/out of Kahnawake & Kanehsatake, and the referral of all disputes arising from the conflict to the World Court at the Hague. The Mohawks also had 3 pre-conditions for any further negotiations: free access to food, unhindered access to clan mothers & spiritual advisors, and the posting of international human rights observers. Both the federal & provincial governments rejected these demands. Despite condemning the warriors as thugs & terrorists, government officials continued to secretly meet with senior Mohawk warriors at a Montreal hotel in early August. On August 1, Assembly of First Nations (AFN) vice-chief Ovide Mercredi visits Kanehsatake and is requested to provide technical advisors. On August 4, AFN lawyers & advisors arrive but are not trusted by the Mohawks, who view them as government spies. On August 5, the Quebec government issues a 48-hour ultimatum for Mohawks to begin dismantling barricades. On August 7, the warriors fortified their positions. The next day, Quebec premier Robert Bourassa invokes the National Defense Act and calls on the Canadian Armed Forces to replace the SQ. Throughout the siege, thousands of white residents of Oka and Chateaguay displayed their racism and hatred of Mohawks. Mohawks were surrounded by white mobs & assaulted. The police barricades became a gathering point for mobs who taunted the warriors, whose positions were a few hundred meters away. They also chanted “Bring in the Army” and “savages.” By August, these gatherings became a daily routine with drinking and partying, & mobs as large as 8,000. At night, effigies of warriors were strung up from lamp posts & burned. By mid-August, white mobs had begun to riot, attacking both SQ & RCMP riot police with rocks, sticks, Molotovs, etc.. In response, Kahnawake prepared for a potential invasion by white mobs as part of its barricade system, which remained on alert throughout the summer. “The media task force also sent runners out in shifts to all the barricades and distributed copies of press releases to the Rotiskenrahkete (warriors). These reports contained daily news… people on the barricades did not feel left out & isolated from the rest of the community” (Entering the War Zone, p. 125). At first, there was little organization of barricades at Kahnawake. Once shifts & schedules were made, the situation improved. Kahnawake war veterans were requested to help, as many young warriors did not know how to build bunkers or conduct patrols. The Legion branch in Kahnawake had some 120 members at this time. Squads of 5 men with squad leaders were organized. At the peak of organizing, warriors had 2 squad leaders and as many as 40 warriors per shift at each highway checkpoint. As support for the barricades grew, as many as 600 men took turns on duty. Many Mohawks serving in the US or Canadian military requested leave and returned home. Kahnawake served as a main rally point for warriors. In mid-July, a request for assistance wampum was sent to Onedias in Ontario (the closest allies to the Mohawks). About 100 Onedia warriors from Ontario, NY, and Wisconsin arrived. Most stayed at Kahnawake, while some were infiltrated into Kanehsatake. Altogether, there were 14 bunkers & barricades at Kahnawake. Bunkers were placed on either side of road barricades to better defend them. Around bunkers and in areas where enemy forces could flank them, booby traps (inc. punji sticks, fishhooks, etc.) were placed. Other bunkers were used as decoys. Later in the summer, a series of tank trap trenches were dug near barricades to deter APC’s. The headquarters of the Kahnawake warrior society was moved to a secret location inside the village, as the official HQ—adjacent to the Longhouse—was too obvious a target. The defensive strategy for Kahnawake had two plans: A and B. Plan A consisted of the original barricades on each highway at the edge of the reserve. Warriors knew they could not hold these if the military attacked. Plan A positions were poor tactical locations because they were surrounded by miles of open highway. Plan B consisted of fall back positions on the outskirts of the village itself, including sites with natural defensive advantages. If the military got past these secondary positions, warriors would wage guerrilla warfare in house-to-house fighting. “Psychological warfare was a crucial element of the Mohawk strategy. After the army listed the technical names of the machine guns they claimed the warriors possessed, the warriors began using those names in their radio communications—to intimidate the army into thinking they really had the hardware. “Taking their psychological advantage a step further, the Mohawks used a variety of homemade devices to imitate the high-powered weapons the army thought they had. A circular cutting tool used in ironworking became an imitation M72 rocket launcher. An ordinary black plumbing tube was placed in the back of a pick-up truck and camouflaged so that it resembled an anti-tank missile launcher. The ruses worked. When the army distributed a press kit on warrior armaments in late August, it included a photo of an M72” (People of the Pines, pp. 244-45). “We played on their fears and let their imaginations play games with them,” said Cookie McComber, one of the assistant war chiefs. “It was their paranoia. They took themselves so seriously” (People of the Pines, p. 245). “The warriors covered empty shoe boxes in black, strapped them to their backs, and clambered over the Mercier Bridge to make the SQ think they were planting explosives on the bridge. They used welding torches on old scrap iron, behind a blind, to make it seem as if they were cutting the anchor bolts of the bridge to weaken it. And they wandered around an empty field, looking at a map, to pretend they were picking their way through a minefield. It was all part of a deliberate strategy to keep their enemies off guard and confused. “It was like a chess game,” said Little Marine. “They didn’t know who we were, they didn’t know what to expect,” added Michael Thomas, another warrior leader” (People of the Pines, p. 245). In 1988, when the Mercier Bridge was seized in response to an RCMP raid on Kahnawake, warriors displayed a .50 cal. machine-gun, but it was reportedly an old, disabled, WW 2 relic. After the initial SQ raid on July 11, Mohawks used radio communications to portray greater numbers than what they had. There were an estimated 600 guns in Mohawk hands at Kahnawake (this number is the same given for how many armed warriors were involved). These weapons included AK-47s, hunting rifles, shotguns, pistols, and a .50-calibre semi-automatic. Throughout the summer, warriors also continued to buy weapons, ammo, & equipment. In the third or fourth week of the crisis, for example, a shipment of 80 AK-47s was smuggled into Kahnawake. Although they had only pretended to wire the Mercier Bridge with explosives, the Mohawks could easily have done so using explosives from local construction companies in Kahnawake itself. “Of all the protests across Canada, the most intense took place in BC, where native militancy has grown dramatically in recent years—largely because the BC government had consistently refused to negotiate Indian land claims. It was the only government in Canada that flatly rejected the entire concept of aboriginal land title. “By late July, Indian barricades had been set up on 7 roads and railways in BC, originally as gestures of support for the Mohawk warriors, but later as a negotiating tactic in a determined bid to seek justice from the provincial government. The blockades wreaked havoc on the tourism and forestry industries of central BC, halted train traffic in the interior of the province, and brought losses of $750,000 a day to BC Rail” (People of the Pines, pp. 281-281). A rail blockade by St’at’imc at Seton Lake was dismantled on August 24 by over 60 RCMP with batons and dogs. 16 were arrested. A few hours later, Lil’wat at Mt. Currie blocked the same railway, about 100 km south. This was also dismantled by the RCMP. In northern Ontario, Anicinabe near Longlac (Long Lake) blocked the Trans-Canada Highway in early August. On August 13 they also blocked CN Rail for about 1 week (costing an est. $2.6 million in lost revenue each day). On August 19, over 200 Ontario Provincial Police were sent to Lonclac to enforce court order and the blockade was removed. This blockade was soon followed by blockades on nearby Canadian Pacific railways by the Pic Mobert & Pays Plat bands. When court injunctions were obtained by railway officials, another blockade would be set up by another band. In mid-August, a railway bridge in northeastern Alberta was set ablaze. In late August, just after hours after RCMP cleared railway at Seton Lake, BC, a fire caused extensive damage to Seton Portage railway bridge. “Virtually all our transcontinental traffic has been disrupted. We are at the mercy of individual bands & whatever decisions they make” (Entering the War Zone, p. 147). In early September, after military advances into Mohawk territory, 5 hydro-electric towers were felled in southwestern Ontario. A railway bridge was also set on fire in the same region. In southern Alberta, Peigan Lonefighters began diverting the Oldman River away from a half-constructed dam. On September 7, dozens of RCMP escorted provincial employees & heavy equipment to repair the dyke which had been breached by the Peigan. Warning shots were fired and a 33-hour standoff occurred. Milton Born With A Tooth was arrested and charged with weapons offenses. Outside Kanehsatake/Oka, hundreds of supporters gathered at a solidarity camp (dubbed the Oka Peace Camp). Indigenous people from across North America arrived in vehicles & convoys throughout the summer, and large rallies were organized. On August 12, federal Indian Affairs minister Tom Siddon, and Quebec Native Affairs minister Ciaccia, met with Mohawks behind the barricades. They sign agreements guaranteeing access of food, medical supplies, spiritual advisors & legal observers. A masked warrior also signs as part of a last minute addition to the Mohawk negotiator’s team. Later that day, over 3,000 angry citizens march to an SQ checkpoint, where a riot occurs. Police fire tear-gas to disperse the mob. This is followed by more rioting the next day. Deployment of the Canadian Armed Forces was debated at the highest levels of government. Lt-General Foster publicly warned against a full military assault on the Mohawks. “A senior federal official admitted privately in mid-August that there likely would have been several resignations among the top army commanders if Bourassa had ordered them to attack the Mohawk barricades” (People of the Pines, p. 298). The military calculated that an assault would have required the evacuation of everyone in a 10-km radius of the Mercier Bridge, an est. 100,000 people. This assault would first comprise Leopard tanks to dismantle barricades, followed by APC’s and infantry. Early in the morning of August 15, the 5th Mechanized Brigade begins deployment of 600 soldiers. These troops rolled into St. Remi, south of Chateauguay, and set up camp. More soldiers were deployed in neary St. Hubert, St. Benoit, and in Blainville. In all, 4,500 soldiers with more than a thousand vehicles, Leopard tanks, Grizzly & M113 APCs, trucks, artillery pieces, and other equipment, were in place by August 20. In addition, there are helicopters, Aurora surveillance planes, and naval ships on the St. Lawrence seaway. This deployment of troops was labeled Operation Salon, the largest internal military operation in Canadian history. The operation had 4 objectives: remove the barricades at both Kanehsatake & Kahnawake, open the Mercier Bridge, remove the strong points of opposition, restore public order & security. 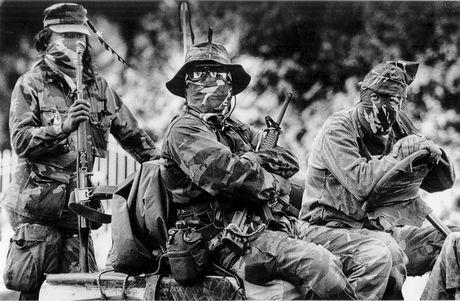 Soldiers from the Royal 22nd Regiment at Oka, 1990. On August 20, the military moved in to take over SQ positions. Many Mohawks were glad to see the hated SQ leave. At Kahnawake, where there were more military vets among the warriors, communications were set up and meetings arranged between military commanders & senior warriors. Not so at Kanehsatake, where warriors refused to meet with soldiers. Instead, a delegation was organized of noncombatants. When the Kanehsatake delegation met with military commanders, they were shown where the army wanted to place their troops, including next to the North Pole barricade. But this isolated post was unmanned, and the military would soon see the Mohawk’s bluff. Although the warriors rejected this, soldiers were placed 400 metres south of North Pole, causing them to break off any further negotiations. Armoured personnel carriers on highway near Kanesatake. “Many of the Mohawks at the TC were not impressed by the black fatigues, nor by the insistence of the Kahnawake warriors that the same kind of protocol should be established between the army & the warriors in Kanehsatake as had been set up in Kahnawake” (People of the Pines, pp. 308-309). One of these agreements at Kahnawake was that when warriors & soldiers encountered one another on patrol, they were to both sling their rifles. On August 21, negotiations at Kanehsatake re-opened. Mohawks sought recognition of their sovereignty, no arrests, and long-term negotiations that would define and re-unify Mohawk territory. On August 23, the military again advanced toward North Pole with APCs, then established a new position with razor-wire. “Many of those who had been in Kanehsatake during the first weeks of the siege had deserted the barricades by the time the army moved in. Some of them were bored or exhausted after the endless nights of patrols; others had simply lost faith in the negotiations” (People of the Pines, p. 308). “The people are convinced that they’re right. They have a certain patriotism. Unfortunately, they are tossing aside the rules of our white governments. They’re in a vicious circle. As long as we don’t recognize them as a nation with their own protective force, we can’t accept that they can bear military arms. But as long as they don’t possess military arms, they will not be able to affirm their rights as a nation” (People of the Pines, p. 314). 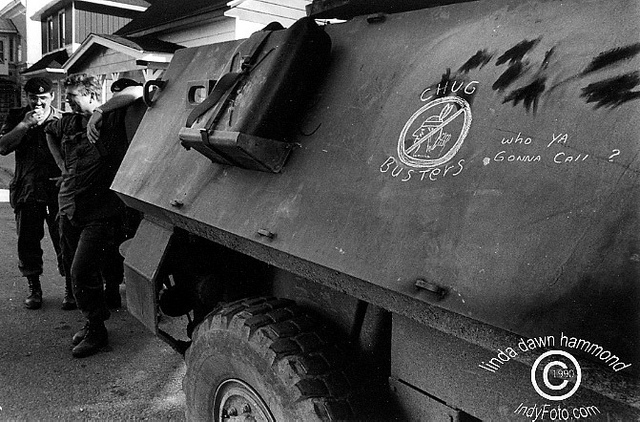 Racist graffiti on side of Canadian Forces armoured vehicle. On August 27, after days of frustrated negotiations, Quebec premier Robert Bourassa declares negotiations over & asks the army to dismantle the Mohawk barricades. In Kanehsatake, warriors go to red alert. The next day, civil protection authorities go door to door at Oka advising all remaining citizens to evacuate. The Red Cross brings in stretchers & body bags. Overhead, two Canadian Forces fighter planes fly over Kahanwake and Kanehstake in a show of force. In the afternoon of August 28, some residents of Kahnawake also begin to evacuate in a convoy of some 70 vehicles, mostly women, children, & elders. They use the north exit near the Mercier Bridge, but are detained by the SQ, who search every vehicle and delay them for over 2 hours. In the meantime, local radio stations (including Montreal’s CJMS) broadcast the location of the convoy. By the time the convoy is underway, a mob of over 500 white people has gathered. They begin throwing rocks at the Mohawk vehicles, smashing windows and injuring persons inside. One elder, Joe Armstrong (71 years old) is hit in the chest with a large boulder. He would die one week later of a heart attack. Although there were approx. 30-40 police on hand, they made no effort to stop the rock throwing. White vigilantes and police alike harassed human rights observers. At times they had to be flown in/out of Kahnawake by helicopter. “The only persons who have treated me in a civilized way in this matter here in Canada are the Mohawks,” said Finn Lynghjem, a Norwegian judge. ‘The army & police do nothing. It’s very degrading… degrading to us, and perhaps more degrading to the government who can’t give us access” (People of the Pines, p. 321). After Bourassa’s announcement that negotiations were over (Aug 27), all international observers were ordered to leave. After their departure, church observers and local human right s activists stepped in to replace them. By late August, support for the barricades at Kahnawake, which had been so strong throughout most of the summer, began to decline. In the last days of August, only about ten warriors armed with AK-47s were still on duty, while others had only shotguns and .22-calibre hunting rifles. Some barricades had no more than 2-3 warriors. “One of the warrior squad leaders, codenamed Little Marine, asked the warriors if they were willing to pull the trigger if the army rolled in. “How many people here are willing to shoot?” he asked. “Who’s willing to give the order to shoot? If you just keep backing up (without shooting) you’re going to look like a bunch of fools.” Most of the warriors admitted that they weren’t willing to shoot.” (People of The Pines, p. 329). Approximately 80 % vote to dismantle the barricades. The dismantling of the Kahnawake barricades on August 29 was broadcast live on TV, and this is how the Kanehsatake warriors learned of it. Some felt demoralized and even betrayed. “The small band of warriors remaining at Kanehsatake were the most militant and uncompromising of all the Mohawks. As they became more isolated, the tension grew worse.” (People of the Pines, p. 335). Relations between Mohawks at Kanehsatake & the military continued to be strained. Several incidents nearly trigger shootings. Flares are set off by soldiers, who constantly test Mohawk lines. One night, soldiers sneak in and steal a Mohawk flag. At army checkpoints, rolls of razor-wire across roads in and out of Kanehsatake gave the appearance that the military totally encircled the area, with no way out. In fact, the military kept hoping the warriors at Kanehsatake would “disappear” as they had at Kahnawake. The warriors were informed of a safe corridor through the woods north of Kanehsatake, which became known as the back door. During negotiations, military officers would remind the warriors that the back door was still open. “Although the federal government publicly condemned the warriors and promised to sue the full force of the law on them, federal officials clearly hoped that the warriors would disappear” (People of the Pines, p. 341). This “escape route’ is also mentioned in Entering the War Zone, p. 96-97. Some warriors thought this was a trick, while others did not want to abandon their position. Some wanted to remain until the Canadian parliament resumed sitting in late-September. (L-R) Mohawk Warriors- “Wizard” smokes through his mask, “Boltpin”. Wizard knew how to get media attention. They pulled up in a golf cart, and Wizard took out a knife, began cutting a hole in the vicinity of his own mouth, and then proceeded to smoke a small cigar through it. Kanehsatake (Oka, Quebec) Media op. Aug. 29, 1990. By the end of August, there are only 35 warriors still on active duty in Kanehsatake. Of that, fewer than a dozen are from the community. The rest are from other Mohawk territories, Oneida, Anicinabe, Mi’kmaq, etc. A number of Kanehsatake men had simply put away their weapons and stayed home. On August 31, a local family returned to find their home ransacked & vandalized. Two warriors, Lasagna & Noriega, were believed responsible. At a meeting, some wanted to punish them, while others wanted to turn them over to the police. Rumours reached the two suspects, who then assaulted & hospitalized those they believed willing to turn them over. Other warriors eventually disarmed & arrested Lasagna & Noriega. “Meanwhile, the army was mobilizing its equipment & moving its APC’s into position near the barricades. The army commander, Lt-General Kent Foster, had concluded that a negotiated solution to the Kanehsatake barricades was extremely unlikely. With the recapture of the Mercier Bridge, the army had little reason to fear any retaliation in Kahnawake if the troops advanced. The assaults on Ronnie Bonspille & Francis Jacobs [by Lasagna, & Noriega] were the final pretext the army needed” (People of the Pines, p. 348). “I am growing increasingly concerned about the potential of violence in the area, given the existing tensions between Mohawk factions & the number and types of weapons they have at their disposal… I have therefore decided to adjust the deployment of my troops with the intent of ensuring the safety of civilians and my soldiers in the area. This is neither an aggressive act nor an offensive action” (People of the Pines, p. 349). On September 1, the military advance begins. 400 troops and several APC’s are used. Both the North Pole & Zig-Zag barricades on the north & west are found undefended, a result of attrition. Bulldozers are used to push aside the barricades, and the APC’s roll by. They are followed by dozens of SQ in riot gear. At Sector 5 (at the north end of the Pines) as well, soldiers there find the barricade abandoned after one warrior fired into the air, then retreated. Inside the Kanehsatake barricades, along with numerous women & children, are over a dozen remaining media. Most of this siege, in fact, has been heavily documented by media both outside and inside the military perimeter. “Now that I look back, it was really stupid,” one warrior said later. “We could have been wiped out in seconds” (People of the Pines, p. 352). As soldiers re-established rolls of razor-wire at their new positions, warriors engaged in staring contests and pushing-shoving matches with soldiers. By early evening, soldiers had captured Hellhole, the last bunker in the Pines (overlooking the cemetery). When night fell, the warriors were left with just a small piece of territory around the treatment center. Only 2 barricades remained: Main Gate on Hwy. 344, the main warrior barricade first erected July 11, and a makeshift barrier of toppled trees on the highway to the west. The warriors were demoralized. On September 2 at daybreak, army patrols advanced cautiously through the Pines. A military helicopter flew low above the trees. “At 8:15 AM, twenty-four soldiers and 3 APCs advance from the pines onto Hwy. 344 and move quickly to Main Gate. “They’re facing a fait accompli each time we move,” [Major] Tremblay told reporters. “They don’t have any choice except to withdraw” (People of the Pines, p. 356). “I have nothing to say about that, sir,” the officer told the warrior” (People of the Pines, p. 357). “Unlike the Kahnawake warriors, the Mohawks at the TC were relatively young & inexperienced. Their bunkers were poorly constructed, and they had little expertise in defensive strategy. Of the 30 warriors at Kanehsatake, only two… had military experience. “The lack of training among the Kanehsatake Mohawks was a source of worry to the veteran warriors of Kahnawake. The face-to-face staredowns, for example, were a poor military tactic. By marching right up to the soldiers, the warriors exposed themselves to their enemy. “They lost the mystique of the unknown,” said Michael Thomas, the US army veteran and assistant war chief at Kahnawake. ‘When you’re in the shadows & you can’t be assessed, it scares the enemy. The unknown is the most lethal weapon you can use.” The staredowns were also a public-relations fiasco. They allowed the soldiers to appear courageous and unflinching [warriors as undisciplined & irrational]” (People of the Pines, p.357). Shortly after 17:00 hours (5 PM) on September 2, an army bulldozer dismantles the Main Gate barricade on Hwy. 344, after it is searched by a bomb squad. For the first time since July 11, the highway is now free of Mohawk barricades. Warriors spend a tense night in their bunkers, as army searchlights sweep the forest and helicopters pass overhead. The next morning, at 7:30 AM, five APC’s and fifty soldiers advance down Hwy. 344 to the entrance of the laneway into the TC. Warriors scramble into their bunkers. At this point, the military stopped and again rolled out razor-wire. “By this point [morning Sept. 3], the Mohawk territory had been reduced to a few hundred square meters, bounded by Hwy. 344 on the north, the Lake of Two Mountains on the south, and the wooded ravines on the east and west. They were surrounded by 400 soldiers equipped with machine-guns, assault rifles, dozens of armoured vehicles, and military helicopters. Soldiers patrolled every side of the warrior headquarters, including the rocky shore of the lake. Inside the razor wire barriers, there were just 30 warriors, 17 women, 7 children, and a handful of advisors” (People of the Pines, p. 358). The military then telephoned the TC and demanded that the Mohawks surrender. They refuse. The TC itself is a good location for a lengthy siege. It is a large building with a big kitchen, dormitories, and freezers full of food. It was easy to defend, overlooking a cliff and flanked by steep ravines. There were also telephones, computers, and faxes (until they’re cut by the Army). Raid on a Kahnawake Longhouse on Sept 3, 1990. 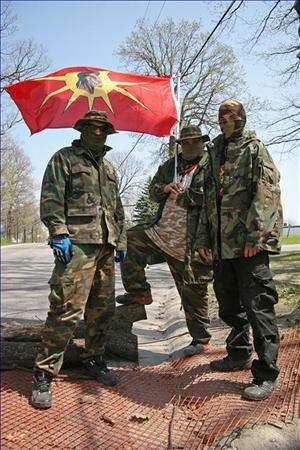 While the military was advancing into Kanehsatake, warriors in Kahnawake attempted to retake the Mercier Bridge. In the morning of September 3, a group of fifteen warriors moved onto the bridge and pulled out weapons, including a .50-calibre rifle. Repair crews fled. The military immediately responded with APC’s and dozens of troops. The warriors retreat in a van, which they drive back into Kahnawake and to the Longhouse. Here they allegedly attempt to conceal their weapons, unaware they are under surveillance by a military helicopter. A few hours later, a convoy of APC’s rolls into Kahanwake and over 100 soldiers & SQ raid the Longhouse. According to military commanders, the presence of weapons had violated agreements with the warrior not to enter Kahnawake. At the Longhouse, the soldiers are confronted by Mohawk women who fight to stop them. The soldiers force their way in and find numerous weapons inside. Several women & soldiers are injured. After the raid, the military keeps its APC’s stationed at the entrance to the village, now controlling half of Kahnawake territory. Over the following days, prominent warriors are told to leave Kahnawake; some are targeted by the SQ as “ringleaders” of the warrior society, while others are considered hazardous because they are heavily armed and prepared to fight capture. Among these are Paul Deloronde, who secretly travels to the south US and evades police. Michael Thomas travels to Miami under surveillance, where he is arrested by heavily armed police. Throughout the night of September 3, the warriors at the TC are surrounded by blinding searchlights from the APCs. Overhead, helicopters fly constantly, while flares are routinely fired by soldiers. In response, warriors salvage lights from the Xerox machines & abandoned police vehicles to illuminate the military positions. Mirrors from the bedrooms and bathrooms of the TC are also used to reflect military searchlights. The next day, the army resumes negotiations. The warriors request passage for their negotiators, attempting to consult with Mohawk leaders from other territories. The army would comply, but only if the warriors surrendered the front-end loader used to dig bunkers and trenches. The warriors refuse. The warriors request firewood & large rocks to build a sweatlodge. The army rejects this. At this time, telephone and fax are still functioning, as well as electricity & running water. A dozen media are still inside the TC, although the military has blocked the flow of supplies to them. In the middle of the night on September 5, soldiers raid Mohawk lines and take an unguarded mirror. On the night of September 6, confrontations between warriors & soldiers escalate. Soldiers fix bayonets and slash a tarp that had blocked their view. Warriors throw mirrors & bats at soldiers. Weapons on both sides are loaded. 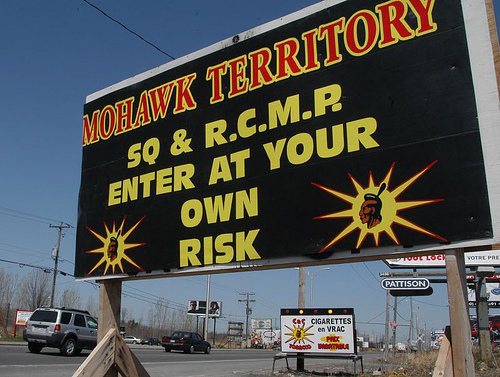 Senior Mohawk leaders in Kanehsatake see the danger of younger warriors under stress who are easily provoked, and order them back from the frontlines. In the early morning hours of September 7, Spudwrench (Randy Horne) was in a bunker, tired and exhausted. He was drowsy & fell asleep. Just after 4 AM, he awoke to soldiers at his position. In the struggle, Spudwrench is beaten unconscious with batons. The soldiers attempt to take him prisoner and begin to drag him away. A nearby warrior in another bunker heard the commotion, & shined his flashlight at the soldiers, who dropped their prisoner and ran. Spudwrench had several deep cuts on his face and was in shock. He’s brought to the TC, where medical assistance is requested from the military. An ambulance drives up to the TC. A paramedic advises the Mohawks that Spudwrench should be evac’d to a hospital. Military officers assure the Mohawks that Spudwrench will be brought back as soon as he is well. The Mohawks refuse this and insist on waiting for their own physician, who arrives at 8:30 AM. He advises that Spudwrench should be taken to a hospital. A private ambulance is called, which arrives in the afternoon. Two days later, he is released from the hospital and placed into military custody. On September 12, he is charged by the SQ on 5 counts, including possession of dangerous weapons and rioting. More media leave the TC, some are ordered out by their employers (so they say). Meanwhile, the Mohawks draft a new proposal for disengagement, which is rejected by the government. “The province [Quebec] had little interest in negotiating at this point. With the Mercier Bridge open to traffic & the warriors under military control, there was no pressure on the provincial government. It could afford a long waiting game” (People of the Pines, p. 373). On September 12, soldiers fortified their positions with new rows of razor wire at the entrance to the TC. They also begin building an observation platform in trees overlooking TC grounds. Army negotiators urge Mohawks to surrender, and warn they are becoming impatient. False Face Mask Ceremony (hatui) is held at night. By mid-September there is a chill in the air. Throughout the siege, military intelligence & psychological warfare specialists analyzed media from across Canada and internationally. Glossy media packages were prepared. The military held media conferences twice a day. “Even a handful of combat-ready warriors could be a difficult challenge… if a large number of warriors are committed to armed resistance, casualties on both sides will inevitably be serious” (One Nation Under the Gun, p. 253). One of the primary target audiences for this video was the warriors. It also established a pretext for large-scale military action if necessary. As the siege of the TC dragged on, the warriors became more organized. Each one was assigned to either a day or night shift. Bunkers were camouflaged and sheltered from the rain. Their network of trenches was expanded. Stakes were placed in the ground behind the TC to deter helicopter landings. By day, the situation was peaceful & even relaxed. At night, it was the opposite, with helicopters, searchlights, and flares. On September 13, the telephone lines at the TC are cut. The only landline was now directly to the military. As well, only a few cell phones now worked. Military spokesperson described this as “another turn of the screw, to encourage serious warrior negotiations” by eliminating all distractions. On September 14, the water supply is cut off, then restored later in the day. The military denies any knowledge of this. In the evening, the electrical power is cut off twice. Warriors go to full alert. At 11 PM a letter is delivered by soldiers requesting the warriors to surrender & lay down their arms. At Kahnawake, the military continued to occupy half the territory. For a period of two weeks, soldiers also conducted numerous raids in the village to search for weapons. 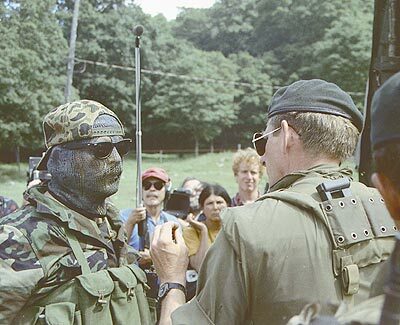 A Mohawk confronts soldiers during Tekawitha Island raid. On September 18, soldiers & police land on Tekakwitha Island, a deserted island on the edge of the territory, connected by a short bridge. Dozens of troops & SQ land on the western side of the island, by boat & helicopter. As they advance towards bridge, hundreds of Mohawks rush to confront them. Some 30 soldiers move to block the bridge & begin to set up razor wire. Mohawks dismantle this & begin throwing rocks and assaulting soldiers. Soldiers use rifle butts to defend themselves & begin firing volleys of tear gas. Mohawks confront soldiers during raid on Tekawitha Island. Mohawks disperse & then regroup. In a second attack, one soldier is beaten semi-conscious and others are wounded. Soldiers fire warning shots into the air & pull back into a defensive position. Reinforcements arrive, and now there are 140 soldiers. After a 7 hour standoff, eight military Chinook helicopters are used to airlift the soldiers out. 20 are injured. For the Mohawks, there are 75 injured, including cuts, bruises, fractures and tear gas. These include children as young as five, and one elder 72 years old. The military claims to seize 47 weapons from the island, most are hunting rifles and shotguns. Soldiers deployed during raid on Tekawitha Island. “The strong resistance surprised us… it was amazing the way they reacted… next time my men will be equipped with plexiglass shields and face masks” (Entering the War Zone, p.105). On September 23, Dennis “Psycho” Nicholas & Cathy Sky are married inside the TC. Cell phones now only work in certain locations (due to military scramblers). At this time, the defenders believe the next 48-hours are crucial. The next day is the opening of parliament, and Oka is expected to dominate government discussion in the first week. If any political victory is to be gained, it would be in this time frame (48 hours). “Their negotiating prospects were bleak, they were isolated & powerless, and their living conditions were increasingly stressful… Tempers were flaring & arguments were breaking out. The psychological warfare & the constant noise of military helicopters had worn down their resistance” (People of the Pines, p. 390). On September 25, Bob Antone, a senior Mohawk negotiator, tells the media there will be a disengagement in 2-3 days. Lasagna (Ronald Cross) adds fuel to the fire, burning weapons and other materials prior to disengagement. On September 26, more SQ began to arrive. Some warriors feel that if military custody is an option, it must be taken now. At 4 PM, the decision is made to disengage ASAP. Only Lasagna & Noriega disagree, and accuse others of “selling out.” Media are told to leave. A large fire is built at the rear of the TC. Internal documents and weapons are burned. Ammunition & handguns are thrown into a septic tank (?). Warriors leaving the treatment centre during their disengagement. At 5:34 PM the Warrior flag is lowered. Everyone wears camouflage “to symbolize their belief that the warriors were an army of defense for the Mohawks & their land” (People of the Pines, p. 395). By this time, even Lasagna & Noriega have accepted the decision to disengage. At 6:50 PM the group – 13 men, 16 women, & six children—began to walk down the laneway towards the military lines. Halfway down, they veered into the woods, heading for forest in the north-eastern corner. Trip flares are set off. As they reach a row of razor wire, those carrying stretcher boards throw them over. People run across these, through the woods, & up onto the highway. Only a few soldiers are at this location, and they’re caught by surprise. There is chaos, yelling, pushing, & shoving. Major Tremblay is knocked to the ground. In the confusion, 4 Mohawks escape and reach the town (where they are mobbed by supporters). SQ try to arrest them but are fought off by the crowd. Later, Noriega is arrested in town, walking around in his cammies. Loran Thompson, dressed in civvies, disappears into a crowd. By 7:10 PM, Mohawks still on the highway are encircled & under control. They are forced on their knees and their hands are bound with plasticuffs. Some are broken by the stronger men, and soldiers put multiple sets on these ones. Lasagna, Noriega, and 3 minors are immediately turned over the SQ, while the rest are loaded onto two military buses and sent to CFB Farnham. Some are assaulted & abused. Shortly after the Kanehsatake arrests, hundreds of Mohawks in Kahnawake gather and advance to two military checkpoints. Many are armed with sticks, rocks, plastic shields, and gas masks. After they attack, the soldiers fire tear gas. The confrontation ends when soldiers fix bayonets and fire warning shots into the air. One soldier is hospitalized, and several Mohawks require medic aid from tear gas. Many of the women are charged with rioting & obstruction of justice, and are released. At a September 28 court appearance, Lasagna’s face is bruised and swollen from police assaults while in custody (eventually, 3 SQ would be suspended in 1999 for their role in beating Lasagna). The warriors are kept at Farnham military base, and by October 5, most have been released. That night, there’s a big hero’s welcome held in honour of them at Kahnawake. “After 78-days in the extreme isolation of an armed standoff, freedom was a strange experience for the warriors. They tried to adjust to the routine of the outside world, but many of the warriors felt empty & depressed” (People of the Pines, p. 403). Many warriors appear to have suffered post-traumatic stress disorder, which includes depression & anxiety. Some began drinking heavily. Although they are today generally acknowledged as heroes, at the time many Indigenous people were still influenced by anti-warrior disinformation during & after the crisis. According to Entering the War Zone, in Kahnawake the siege had many positive effects. It strengthened community & solidarity, it provided unity for many factions, gave a sense of purpose for men & youth, and interrupted a routine of drinking/partying for some. “For the community it’s ok if some wanted to be evacuated, but we could’ve been a unified community. There’s still a difference between those who stayed and those who left. The trial for 39 of the defendants took 7 weeks. Jury selection took 40 days to interview 643 people and select 12 persons. Unlike the siege, the trial received little media attention. The defendants all had rioting & obstruction charges. The men also had charges for possession of weapons. Midway through the trial, the defense argued that charges against 5 of the accused should be dropped. Both the judge & the prosecutor agreed. The remainder 34 proceed with their legal defense and are found not guilty on all counts. In the 18 months following the crisis, thirty other Mohawks were convicted in separate trials. Their charges ranged from mischief to obstruction of justice, assault & weapons charges. Some received fines, other jail time. The longest sentence of these was 1 year for weapons possession, obstruction, rioting, & blocking a highway. These three faced a total of 59 charges. Their trial lasted 3 months & concluded in 1992. Lasagna (Ronald Cross) was acquitted of 20, and found guilty on another 20, inc. assault, vandalism, weapons offenses, and uttering threats. He was sentenced to 4 years, 4 months in jail. Noriega (Gordon Lazore), was acquitted of 9 charges, but convicted of assault, use of a firearm and vandalism. He was sentenced to 23 months in jail. 20-20 (Roger Lazore) was acquitted on all charges. “Most warriors, however, decided that the guns should remain in the Mohawk arsenal.” (People of the Pines, p. 420-421). 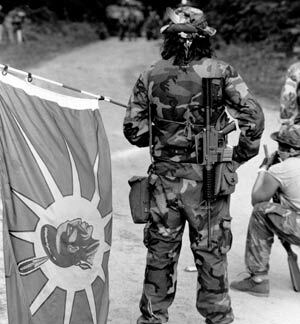 After the Oka Crisis, the SQ established a heavy presence on highways around both Kanehsatake & Kahnawake. At Kahnawake, checkpoints were maintained until at least 1992, to prevent police entry. 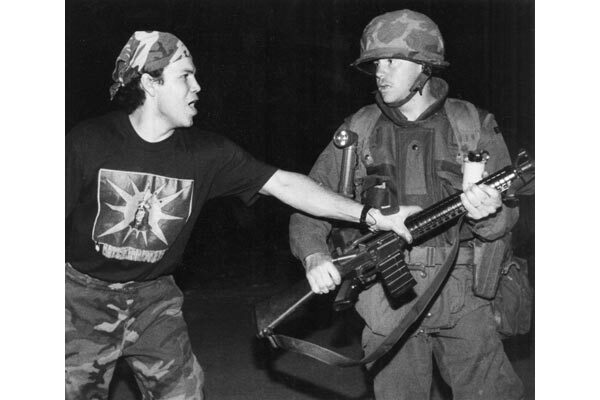 Throughout the winter of 1990-91, confrontations & clashes between police & Kahnawake Mohawks occured almost weekly. On the afternoon of January 8, 1991, there is a large clash between Mohawks and 180 SQ officers. 13 cops are injured. Both sides fire weapons into the air. 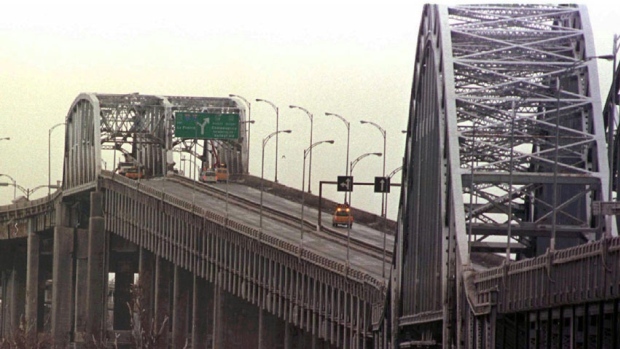 The police close the Mercier Bridge for two hours, at the peak of rush hour. Throughout the ‘90s, Kanehsatake was also the focus of attention for alleged lawlessness, drug operations (marijuana), & connections to organized crime. The theory was that the SQ were unwilling to patrol Kanehsatake, and as a result there was a surge in criminal activity. In 1994, an assistant to the Quebec Native affairs minister publicly requested then-chief Jerry Peltier to “exercise his civil authority to investigate individuals who terrorize a certain part of the population” (Eastern Door, October 21, 1994). Sporadic gun-fire was also alleged to occur in Kanehsatake. For years, Kanehsatake has been ruled by a pro-assimilation band council with its own police force (established in 1997). In 1999, these police shot & paralyzed Joe (Stonecarver) David, a warrior active during Oka 1990. The band council has also pursued self-government agreements with Canada & Quebec, further undermining Mohawk sovereignty. 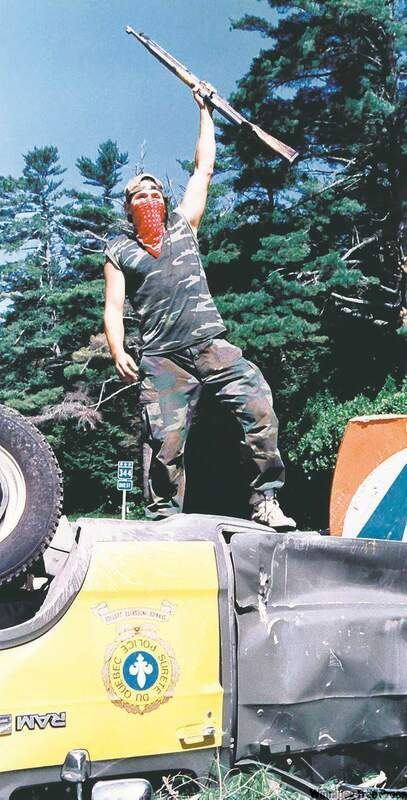 Masked warriors during 2004 eviction of police from Kanesatake. 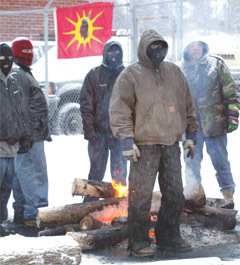 In January 2004, Kanehsatake was again headline news when community members barricaded 60 police officers in the Kanehsatake Mohawk police station. In addition, chief James Gabriel’s house & vehicles were set on fire, after he had fled to Montreal. The Aboriginal officers had been brought in from across the province to reinforce local police. Again, the pretext used was that of criminal activities & drug trafficking. Protesters charged Gabriel’s regime with being corrupt & oppressive, imposing new policing agreements with the Quebec government in violation of Mohawk sovereignty & self-determination. Tom Paul (General), a Mi’kmaq warrior elder, active at Oka, died in February 1992 of natural causes. 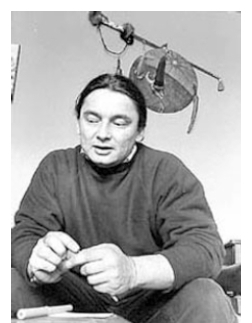 In December, 1993, Louis Karoniakatajeh Hall passed away in Kahnawake. Hall was 77 years old and a long-time organizer & supporter of the Warrior Society. In 1974, he participated in the re-occupation of Ganienkeh and was a prominent spokesperson for the territory. He was a prolific writer, poet, and artist. His book, the Warrior’s Handbook, was influential in the reemergence of warrior societies and ideology among Mohawks. 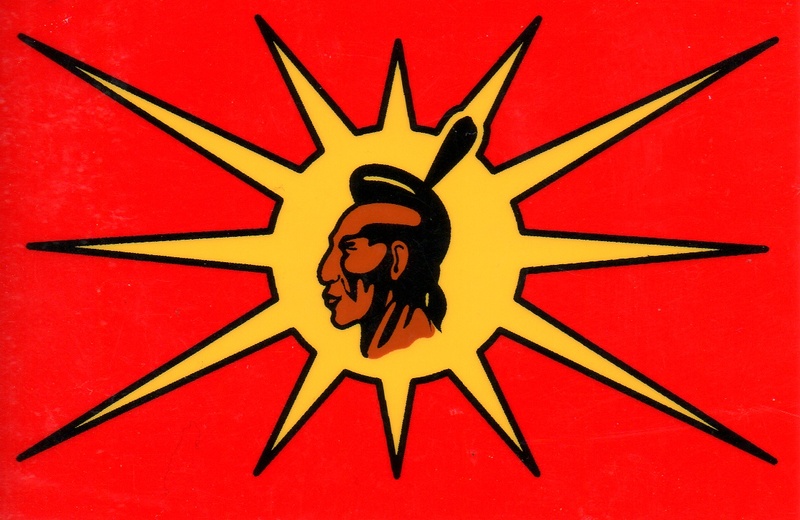 Hall also designed the Warrior Unity flag, comprised of a warrior inside a sun, with a single feather meant to symbolize the unity of all Indigenous peoples. In June, 1999, Joe David—a veteran of Oka—was shot by Kanehsatake Mohawk Police at his home in Kanehsatake. Police had gone to his house to harass & question him regarding alleged threats. After a ten-hour standoff, David was shot in the leg and back, leaving him paralyzed. In 1994, Talonbooks published Lasagna; the Man Behind the Mask, co-written by Cross & Helene Sevigny. Lasagna’s code-name came from his Mohawk-Italian ancestry. He was a highly public & outspoken warrior in Kanehsatake, targeted by both the police & military. After the events at Oka/Kanehsatake, military & political researchers made several recommendations to both the government & CF. 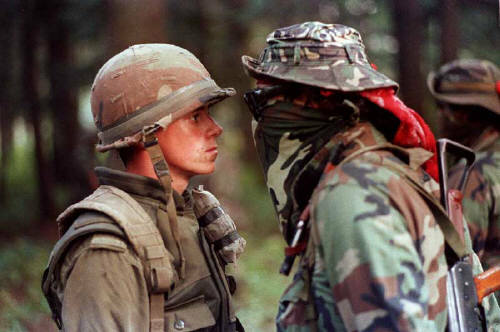 One report, entitled The Legacy of Oka & published by the right-wing Mackenzie Institute in 1991, stated that the use of the military had given the warriors a moral victory in the minds of the public. The images of warriors vs. soldiers, along with prolonged negotiations, only served to reinforce the view of the Mohawks as sovereign people, & the warriors as their defensive force. The report recommended that in future conflicts, heavily-armed police be used quickly, with no time for lengthy negotiations. One effect of such a strategy would be to portray the conflict as a criminal matter, as opposed to insurgency or civil war, thereby “de-politicizing” the resistance. In this regard, control of the media is essential. It is the primary means of social communication, with immense power to frame & shape public perception. At Oka, the media became imbedded among the defenders; on the final day of the siege, there were still 10 reporters inside the barricades. Many continued to give reports right up to the final days. Their presence undermined the overall counter-insurgency effort. In 1992, a special military commando unit was created: Joint Task Force 2 (JTF2). At the time, its mission was to take over counter-terrorist operations from the RCMP’s Special Emergency Response Team (SERT). Previously, SERT had been charged with security for potential hostage takings of officials, hi-jackings, etc. By 1992, this responsibility was handed over to the new JTF2, based on an analysis that future “terrorist” incidents would involve large numbers of heavily-armed combatants. Without question, Indigenous peoples & warrior societies formed a part of these considerations. According to a 1998 book, Tested Mettle, JTF2 was deployed at Kanehsatake &Kahnawake in 1994 during a potential invasion by police/military forces. 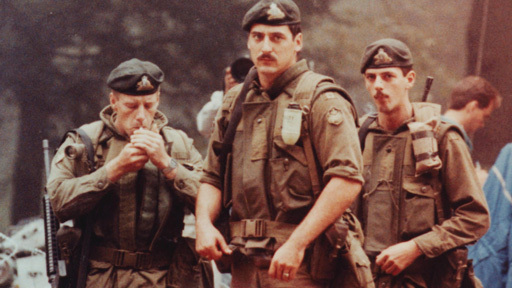 The commandos were also involved in the 1995 RCMP siege at Gustafsen Lake. During that standoff & at Ipperwash, the counter-insurgency plans developed after Oka were clearly used. In both cases, hundreds of heavily-armed police were used, with military assistance. They were authorized to use deadly force and did so. The media were controlled & their access to defenders restricted, especially at Gustafsen Lake. There was little in the way of negotiations. Instead, police attempted to very quickly crush these acts of resistance. 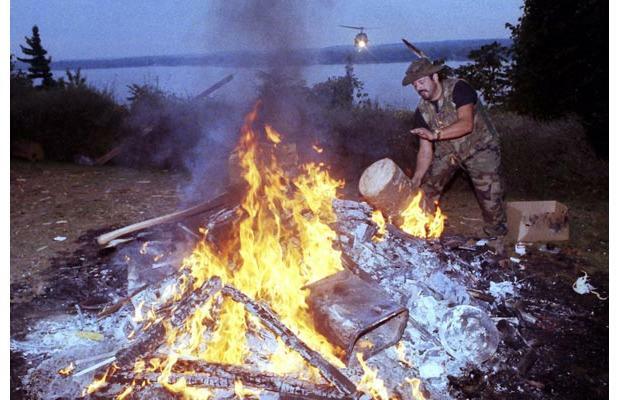 On September 26, 1990, the siege at Oka ended. Despite this, a blockade at Mt. Currie continued into the fall, a protest against the proposed expansion of a highway. In the late fall, 63 Lil’wat were arrested & jailed for 30 days (they refused to co-operate & give their names when arrested). In December 1990, the BC Land Claims Task Force was established to address the question of Indigenous land claims. In 1991, the task force recommended the creation of a treaty process & a governmental commission to oversee it. In 1992, the BC Treaty Commission was established. The ultimate purpose of the treaty process is one of counter-insurgency, involving both ideology & money. In a research paper submitted to the Department of National Defense in 2002, Victoria Edwards studied the effects of Oka on recruitment of Indigenous peoples into the military. She noted the CF were facing a shortage of qualified recruits, and that Indigenous people had been targeted due to their economic conditions & growing youth population. According to Edwards, Indigenous youth represented 10 % of the total potential for recruitment. In an attempt to tap into this, the CF now has several training programs focused on Indigenous youth. These include the CF Aboriginal Entry program, the Sgt. Tommy Prince Initiative, & the Bold Eagle Program. These are basic training programs, 6 to 8 weeks long, with an Indigenous component. They are designed to recruit Indigenous people into the military, either as regular forces or militia, once training is completed. “[a]void the following references: the conflicts at Oka, Quebec [and] the dispute at Ipperwash, Ontario… The 1990 incident is still an emotional topic with many First Nations. It invokes negative images of the CF and any references to Oka should be avoided in a First Nations setting” (Victoria Edwards, “Don’t mention it! 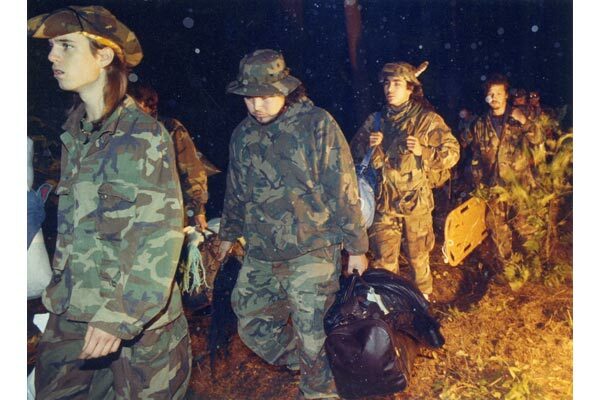 The Oka Crisis & the Recruitment of Aboriginal Peoples,” November 2002, internet source). Edwards argues this is a mistake & advocates a revision of history, promoting Oka as a military success. She also quotes a retired general who states that Oka could have been avoided, maybe, if there had been more military involvement in the community. Like perhaps an Army Cadet corp, or more members indoctrinated into the military itself (more recruitment). As part of this plan, the CF has in fact greatly expanded its recruitment efforts of Indigenous people. Advertisements in Aboriginal newspapers, recruiting booths at community events, etc. have all been increased. In 2001, the Assembly of First Nations recognized the CF’s efforts with an award (!). This strategy should be seen as one of counter-insurgency, based on assimilating warriors into the forces of our enemy. Young warriors at Tyendinaga, a Mohawk territory in southern Ontario, 2007. Prior to the July 11/90 police attack, the protest & blockade at Kanehsatake appears very similar to many other Indigenous protests. There were few people committed to actually putting in long hours in the Pines. Interest in the protest was declining, and it was difficult for the Kanehsatake Mohawks to gather support throughout other Mohawk territories & the Haudenosaunee. The support & presence of more experienced warriors, especially from Kahnawake & Akwesasne, was a critical factor in the resistance which occurred. Without arms, the warriors would have been unable to defend their positions. Combined with the commitment of the Kanesatake Mohawks to defend their land, this determination set in motion the longest armed standoff in Canadian history. Despite this, the siege at Kanehsatake was heavily influenced by the presence of the media. Overall, this was probably the most televised and reported-on act of Indigenous resistance in Canadian history. Throughout the summer of 1990, Oka was the top story, even as Iraq invaded Kuwait. The presence of the media most likely contributed to some of the outbursts & irrational behaviour displayed by some warriors. After July 11, problems with anti-social crime in Kanehsatake forced some Mohawks to set up security patrols, to protect the homes of those who had evacuated. Overall, discipline problems were far more common at Kanehsatake, including drinking, vandalism, and assaults carried out by warriors (over half of whom were from other areas). Attrition was another problem, with inexperienced warriors becoming bored & frustrated, abandoning their positions. It appears that part of this resulted from the lack of military training & experience in Kanehsatake. By September 1990, Kanehsatake was primarily a symbolic standoff, as the military then had the situation contained & under control. As the military advanced, warriors had no option but to retreat. Nevertheless, both sides still carried loaded firearms. At Kahnawake, with a larger, unified community, under the direction of warrior veterans, resistance appears far more practical, and less symbolic. The seizure of the Mercier Bridge, for example, caused major disruptions to both Montreal and its suburban region. In Kahnawake, along with armed detachments of warriors, large groups of unarmed Mohawks were also able to resist military forces with rocks, sticks, hand-to-hand fighting, etc. Of the two, Kahnawake has many valuable lessons as an example of a community in resistance. Although the government’s response was overwhelming (4,500 soldiers), military commanders were clearly cautious in their approach. The presence of media, & the extent of Indigenous solidarity with the warriors, both contributed to this. In the court process following the standoff, the majority of defendants were found not guilty, while targeted individuals took the brunt of criminal charges (Lasagna & Noriega). Overall, the Canadian government appeared reluctant to imprison large numbers of Indigenous warriors; even those imprisoned received relatively moderate sentences (compared to the US, for example, where armed resistance can lead to sentences of 50 years or more). Like the ‘back door’ allegedly offered to Kanehsatake warriors, government officials clearly hoped the warriors & Oka would quickly disappear from the public stage, and from history. Our task is to ensure this does not happen, and that the present generation learns as much as possible from this important chapter in our history as an Indigenous resistance movement. Acts of Defiance (1992), by Alec G. MacLeod, NFB. Focuses on Kahnawake during Summer of 1990. 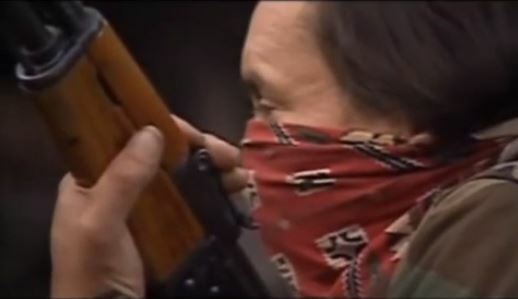 Kanesatake: 270 Years of Resistance, (1994), by Alanis Obamsawin, National Film Board of Canada. 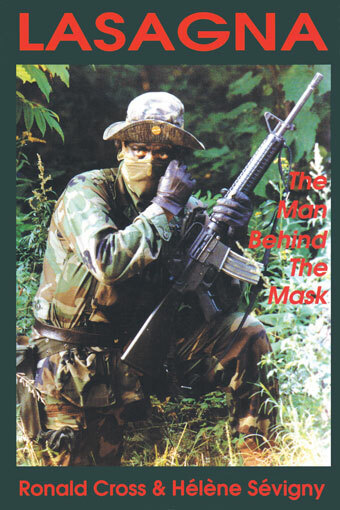 The best overall documentary of Oka 1990. My Name is Kahentiiosta (1995), by Alanis Obamsawin, NFB. 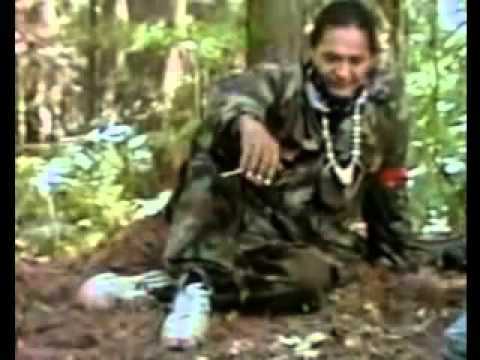 Spudwrench: Kahnawake Man (1997), Alanis Obamsawin, NFB. Rocks at Whiskey Trench (2000), by Alanis Obamsawin, NFB. 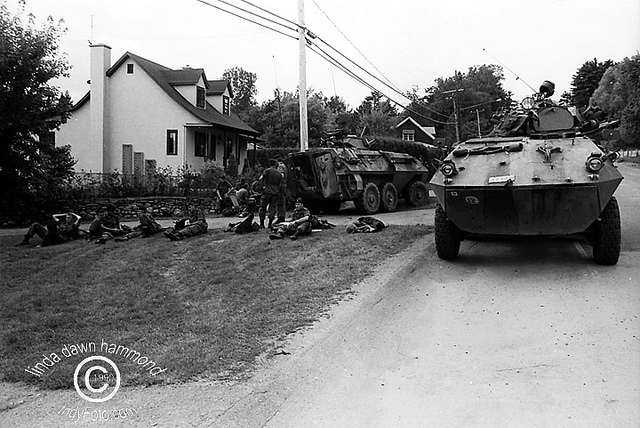 August 28/90 attack on Mohawk convoy. People of the Pines; The Warriors & the Legacy of Oka By Geoffrey York & Loreen Pindera, Little Brown, & Co., (Canada) Ltd., 1992 edition. One of the best overall accounts of Oka 1990. Entering the Warzone: A Mohawk Perspective on Resisting Invasion, by Donna K. Goodleaf, pub. by Theytus Books, Penticton 1995. Mohawk woman at Kahnawake. One Nation Under the Gun; Inside the Mohawk Civil War, by Rick Hornung, Stoddart Pub. Co. Ltd., Toronto 1991. (reporter, focuses on Akwesasne Spring 1990 & Oka). This Land is Our Land: Mohawk Revolt at Oka, Baxendale, MacLean & Galbraith, Optimum Pub. International, Montreal 1990. Photographs & information. Note: this article was originally published by Warrior Publications in 2007. Posted on June 11, 2014, in Defending Territory, Documents, Warrior and tagged Indigenous resistance, Mohawk, Oka, Oka Crisis, Warrior Society. Bookmark the permalink. 42 Comments. What happened at Oka was horrific. The military and government should be as ashashamed and appauled as i am at their actions. It was embarrassing to me and any Canadian i know to be called Canadian at that time. Has the government learned anything from this? I doubt it. It is in my hope and prayers that the wrong doing to your people will come to an end soon. Don’t give up the good fight! Please understand that their are many Canadians on your side and willing to speak on your behalf. God bless and may the spirits be with you. This is why white people (like me) hate themselves. skruffy you shouldn’t hate yourself or anyone who was involved in the incident it all falls back to how they were raised what they were taught to believe is right. you may feel guilt within yourself but trust me its nothing to with you. you know it was wrong and you show sorrow and embarrassment for the occurrences that happened. just that there is reason enough to feel the pride as the natives like me all do. at seventeen i realize that blame is shoved off to the nearest person around. like you feeling “hate” for your race. its okay. pray for forgiveness pray your sorrows and pray for those who are ignorant. your one comment with nine words displays your want for change among people. that is a great first step brother. keep on the keep on. learn about what you can and teach others willing to listen the way of enlightenment so then they’re not ignorant as there ancestors before them. Aw, this was a really good post. Taking the time and actual effort to make a really good article… but what can I say… I hesitate a whole lot and don’t seem to get nearly anything done. Well written. However, extremly bias. You should be a part of a contest for one of the highest quality blogs on the net. I am going to highly recommend this blog! http://www.reverbnation.com/play_now/song_6243269 song inspired by the OKA crisis! Can I just say what a relief to find someone that genuinely knows what they’re discussing on the web. You actually realize how to bring an issue to light and make it important. More and more people ought to look at this and understand this side of the story. I was surprised you aren’t more popular given that you surely have the gift. I have been wanting one of the Mohawk flags for years now. anyone know where I can find a link with the actual pictures of the document that Jean Ouellette signed for the construction of the golf course 1989? As an Anglo -Saxon Canadian, I am ashamed & shocked at the way the government handled the uprising of Mohawk people , who were defending their land & culture. I am also ashamed of the bigotry shown by some of the white residents towards the Mohawk people. I am with you. God bless & may the spirit be with you. Pingback: Salt Baby by Falen Johnson at the Belfry Theatre. A review.